Once upon a time, Michael Katakis lived in a place of big dreams, bright colours and sleight of hand. That place was America. One night, travelling where those who live within illusions should never go, he stared into the darkness and glimpsed a faded flag where shadows gathered, revealing another America. It was a broken place, bred from fear and distrust – a thousand shards of glass – filled with a people who long ago had given away all that was precious; a people who had been sold, for so long, a foreign betrayal that finally came from within, and for nothing more than a handful of silver. These essays, letters and journal entries were written as a farewell to the country Michael loves still, and to the wife he knew as his ‘True North’. 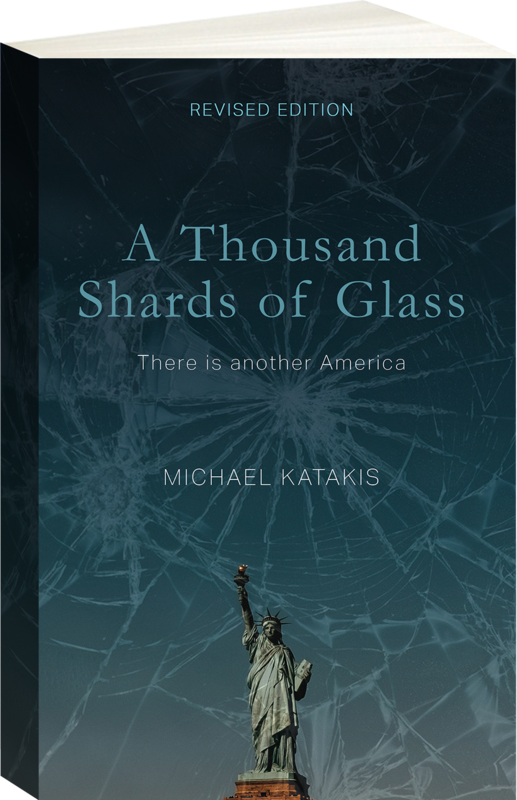 A powerful and personal polemic, A Thousand Shards of Glass is Michael’s appeal to his fellow citizens to change their course; a cautionary tale to those around the world who idealise an America that never was; and, crucially, a glimpse beyond the myth, to a country whose best days could still lie ahead. Writer and photographer Michael Katakis has been writing about and photographing a wide range of cultures and geographic locations for the past thirty five years. He has traveled extensively throughout the People’s Republic of China, West Africa, Cuba, Hungary, Morocco, Turkey, the United States, Korea, the Philippines, Taiwan, Italy, Greece, England, France and Spain to name a few. 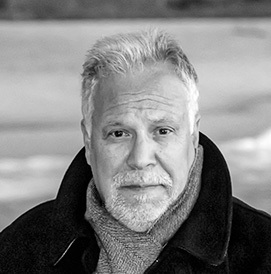 His other books include; Traveller: Observations From an American in Exile (Scribner, New York 2009), The Vietnam Veterans Memorial (Crown, New York 1988) which is a two year study of the emotional impact the memorial has had on its visitors. Sacred Trusts: Essays on Stewardship and Responsibility (Mercury House, San Francisco 1993). Excavating Voices: Listening to Photographs of Native Americans (University Museum Publications, University of Pennsylvania 1998) and the limited edition book, Despatches ( Foolscap Press, Santa Cruz, California 2008) which a number of institutions such as the Victoria and Albert Museum and Stanford University have acquired for their special collections. In 2011 Michael Katakis’s exhibition opened at the British Library’s Folio Gallery to coincide with the publication of his, and Dr. Kris Hardin’s book, Photographs and Words (British Library Publications, 2011). Michael Katakis and Dr. Hardin were presented to Her Majesty Queen Elizabeth by Baroness Blackstone, Chairman of the British Library, on 10 November 2011. Michael Katakis was appointed Ambassador for the British Library and elected Director of Americans for the British Library in 2012. In 1999 he was elected ‘Fellow’ of the Royal Geographical Society and in 2001 his, and Kris Hardin’s exhibition, A Time and Place Before War, opened at the Geographical Society in London. Amnesty International chose Michael’s work from Sierra Leone for the cover of their international calendar (1990) and for the book, Thoughts on Human Dignity and Freedom, with a foreword by Arthur Miller (Universe Books, 1991). In 1991 the National Portrait Gallery, Washington D.C., acquired Michael’s portrait of Maya Lin for their collection. In 1988 Michael was the photographer on an anthropological expedition led by Dr. Kris Hardin of the University of Pennsylvania to the Kono area of Sierra Leone, West Africa. His photographs from this project appear in Hardin’s book, The Aesthetics of Action, published by Smithsonian Press. In 1987 his photographs of China were part of the inaugural exhibition of the International Gallery, Smithsonian Institution. In 1989 Katakis’ work was included in the book, 75 Years of Leica Photography. His work appeared with photographs by Henri Cartier-Bresson, Robert Capa, Sebastiao Salgado and Alfred Eisenstaedt among others. In 2008 the British Library requested and then acquired Michaels and Dr. Hardin’s photographic and written work for the library’s American Collection. Also in 2008 the British Library recorded extensive audio interviews with Michael and Dr. Hardin for their Oral Histories Department. The British Library is now the repository for all of Katakis and Hardin’s work.